The Denver Post‘s endorsement of Amendment 66 is not exactly a ringing endorsement of the billion dollar per year tax increase. In fact, it’s so caveated that we had to wonder if Democratic Governor John Hickenlooper, master of caveated statements (see signing statement on gun legislation), didn’t write this piece himself. 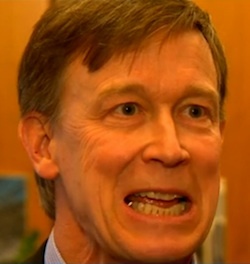 “And then there is the treacherous attitude of the Colorado Education Association to consider. Although the teachers union and National Education Association, its national counterpart, are huge donors to the Amendment 66 campaign, the CEA has admitted that it might sue to overturn a key reform aimed at teacher accountability that is already law and is being implemented this year. What convinces the ed board that Hick suddenly would be a champion for accountability and transparency on this issue?